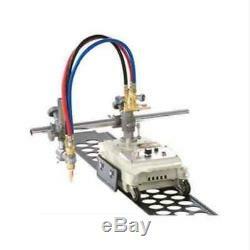 New Semi-automatic Torch Gas Cutting Machine Cutter CG1-30B. (1) External dimensions and weight. External dimensions: 430 x 230 x 280 mm (L x W x H). Total Weight: 28.5 kg. Mainframe Weight: 14.7 kg. Cutting Nozzle Weight: 0.45 kg (3pcs). Cutting Torch Weight: 2.7 kg (1 set). Concave Guide Rail Weight: 6 kg (1pcs). Guide Rail Dimension: 1200 x 220 x 30 mm. Input Voltage: AC 220 V /110 V, 50 Hz/ 60 Hz (Optional). Radius Rod Weight: 1.45 kg. Thickness of Steel Plate Cutting: 8 - 100 mm. Regulation Range: 50 - 750 mm/min (Stepless speed regulation). Diameter of Circumference for Cutting. (3) Type of Guide Rail. The frame provides one type of guide rail: concave. (4) The machine is supplied with GO. 0.20 - 0.30. 0.25 - 0.35. 0.3 - 0.4. 0.4 - 0.5. 1 3 cutting nozzles (1pcs/per). Concave Guide Rail (1.2 m 2 pcs). Cirle Cutting Tool (1 set). 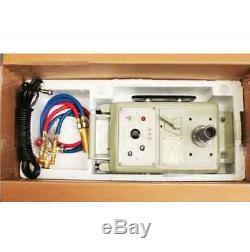 The item "New Semi-automatic Torch Gas Cutting Machine Cutter CG1-30B" is in sale since Wednesday, October 11, 2017. This item is in the category "Business & Industrial\Manufacturing & Metalworking\Welding & Soldering\Welding\Other Welding Equipment". The seller is "mywelllife" and is located in ShenZhen. This item can be shipped to North, South, or Latin America, all countries in Europe, all countries in continental Asia, Australia.